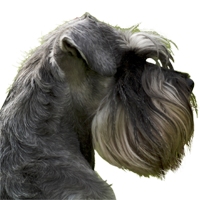 Our kennel is dedicated to breeding miniature schnauzers and bavarian mountain scenthounds. We aim to bring joy to the new puppy owners by a puppy that meets character and exterior breed standards. We are happy when some of our puppies is shown at a dog show, achieves some working success and is admitted to breeding. However, we have the biggest joy, when our puppy finds an owner who will love it as much as possible. Our kennel also offers for sale puppies miniatur schnauzer and bavarian muntain scenthound and we also offer stud dogs both breed for mating with perfect exterior as well as great working abilities. Miniature schnauzer is a miniature but even though a brave breed with perfect working abilities. Moreover it is an ideal partner for families with children. His rough coat doesn’t moult if treated and groomed properly. For this reason the minischnauzer can be held inside as well as outside in the garden. Puppies of miniature schnauzer are very dynamic and active. One-year old minischnauzer is already much calmer but his playful spirit will never disappear. 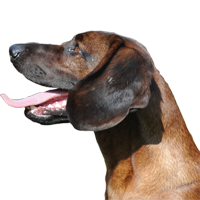 Bavarian mountain scenthound is a hunting dog that is used mainly for looking for shot up animals. This dog is suitable even for mountain areas thanks to his thick coat. We don’t advise to keep him in a flat because his short coat is moulting and being full of energy this dog needs a lot of motion. It is one of the best sleuthhounds. When compared to hanoverian scenthounds it works quicker and is smaller. Puppies of bavarian scenthound become psychically adult first as two years old.